The Zubeidaa of Bollywood, Karisma Kapoor is one of the most successful actresses in recent times. She was born on June 24, 1974 at Mumbai, India to the successful actors of the yesteryears, Randhir Kapoor and Babita. She is also the wife of industrialist Sanjay Kapur. Karisma Kapoor is nicknamed "LOLO". 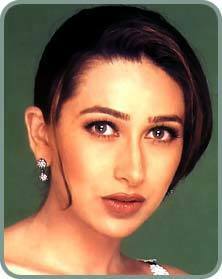 Karishma Kapoor was the first girl of the Kapoor clan to enter the film industry. She broke the tradition and forged ahead to become an actress. Ganesha wishes her a Happy Birthday in advance and hopes that may every year bring more of health and happiness to her. As we do not have birth time of Karisma Kapoor, we consider Surya Kundali i.e. Sun in the first house. Stellium of Sun, Venus and Mercury is placed in the 1st house which is giving strength to this horoscope. Debilitated Mars is placed in the 2nd house. Moon is placed in the 3rd house and Rahu is placed in the 6th house. Lord of the 10th house of career i.e. Jupiter is placed in the 9th house and Jupiter is in Taurus Navamsha. Moreover, Venus is occupying its own sign in the 12th house with Ketu which has blessed her career in the film industry. She was among the most successful actresses in her time. Ganesha notes that transiting Jupiter is passing through the 7th house and is in sextile aspect with lord of the 10th house (house of career) i.e. Jupiter and is in trine aspect with the 11th house of gain which indicates that Karisma Kapoor may have good career prospects during 2008. But on the other hand, transiting Ketu is passing through the 2nd house of finance over the lord of the 11th house i.e. Mars which is not favourable as far as financial prospects are concerned. Karisma Kapoor should be careful in financial dealings between September 2008 and January 2009. Ganesha notes that transiting Jupiter, which is the Lord of the 10th house, will pass through the 8th house in Capricorn sign which indicates 2009 would not give her anything extraordinary as far as career prospects are concerned. Ganesha feels that Karisma may go for a long journey for her career and she would develop harmonious relationships with persons from far places or foreigners during 2009. 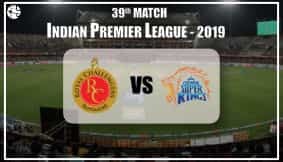 Ganesha feels that transiting Jupiter will be passing through the 8th house and will be in trine aspect with Natal Venus (significator of film and media) and will be aspecting the Lord of the 6th house (house of day to day activity) i.e. Mars which indicates that Karisma may get some good offers to work on big screen or small screen between November 2008 and May 2009. This will add to her reputation. Karisma Kapoor is likely to buy a new house or luxurious car during 2009. Wishing good luck and may Lord Ganesha bless Karisma Kapoor.